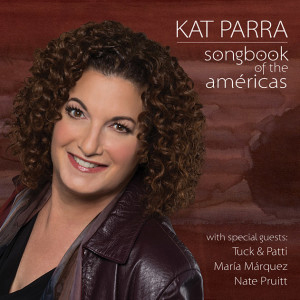 Kat Parra is absolutely right not only in titling this recording Songbook Of The Américas but covering the gamut of music that makes up the two parts of the continent. Perhaps, though, even if she assumed that this is North American music – even music of the United States of America – she would not be wrong in making that assumption. It is hard to listen to the radio today because many stations hardly play the range of music that Parra covers in this programme. Full marks to her for daring to do so. She has been spreading her musical gospel every time she performs and on record for some years now but this is perhaps the first time that she is covering such a wide range of music in a single programme. As a vocalist Kat Parra is vivid and bright. Her music gleams with vitality and brilliance of invention and this shines forth in the strongest and most appealing musical colours in this recording. The disc is full of dramatic twists and turns. One of the best surprises comes in the form of her take on Charlie Parker’s ‘Au Privave’, not so often performed – certainly not by a vocalist better known for singing in the Latin motif. And it is a wondrous version. Beautifully paced, as Parker’s music always was, sparkling with magical moments and certainly recalling Parker in a very reverential manner. Here in all its radiant apparel is a song from the golden age of bebop. It bears mention that Kat Parra also offers her take on Miles Davis’ ‘Four’, a rocking mambo version if ever there was one. And there is also a breathtaking version of Betty Carter’s ‘Please Do Something’. 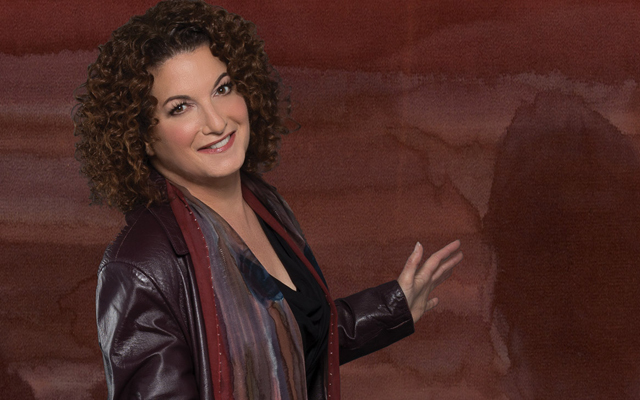 Parra shows that she is a remarkable interpreter not only of Jazz, but of the dramatically different Latin idioms. She pays homage here to Chabuca Granda, María Teresa Vera and Consuelo Velázquez with three classic standards associated with these legendary figures in Latin American music. ‘María Landó,’ ‘Veinte Años’ and ‘Bésame Mucho’ are magnificent takes on classic Latin American standards. Put this together with music that is rendered in a myriad of motifs and you will soon realise that it is prudent to expect the unexpected from Kat Parra. This album certainly does not disappoint as Parra brings theatrical flair to all of the music in this repertoire. The quality of playing is also extraordinary, with strikingly characterful contributions from pianist Murray Low – both as pianist and arranger. Ensemble is flawless from a group that has no conductor, with alert, finely dovetailed playing from each and every instrumental section. Masaru Kogu deserves special mention for his ubiquitous presence which is always announced with breathtaking work on his horns and also the difficult to play Japanese shakuhachi, which Kogu plays with such mastery. Whatever instrument he plays, however, Kogu presents a rich and full sonic picture that achieves something close to an ideal textural balance. Kat Parra is lucky to have musicians such as these with her. It makes the musical adventure all the more memorable. Track List: (Four) Ever More; Please Do Something; Wouldn’t It Be Sweet (Au Privave); Dare To Dream; María Landó; Veinte Años; Como La Cigara; Bésame Mucho; Till There Was You; Dame La Mano; Mambo Italiano. 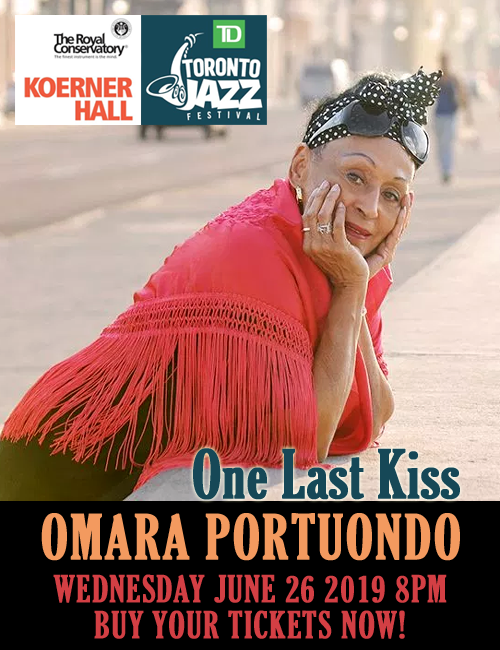 Personnel: Kat Parra: vocals, coro, canto de Ochun (9); María Marquez: vocals &), canto de Ochun (9), coro; Murray Low: piano (1 – 3, 5 – 11), coro; Marc van Wageningen: electric bass (1, 9, 11); Aaron Germain: acoustic bass (2, 3, 6, 8); Sasha Jacobsen: acoustic bass (5, 7, 10); Colin Douglas: drums (1, 9, 11); Daniel Foltz: drums (2, 3, 6, 8); Michael Spiro: percussion (1, 2, 6, 8, 9, 11); Raul Ramirez: percussion (5, 10); Masaru Kogu: alto saxophone (1, 2, 11), soprano saxophone (3), flute (6, 7, 10), shakuhachi (8), coro; John Worley: trumpet (1, 11), coro; Wayne Wallace: trombone (1, 11), coro; Patty Cathcart: vocals (4); Tuck Andress: guitar (4); Lila Sklar: violin (6); Seth Asarnow: bandoneon (7).